Since founding RingCentral, Shmunis has led the company in reimagining business communications. Today, the company empowers hundreds of thousands of businesses and their employees to work with unparalleled freedom and in imaginative new ways via a wide variety of mobile and fixed-line devices in traditional and dispersed work environments. Shmunis has more than 25 years of industry and management experience. 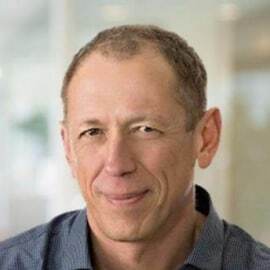 Prior to launching RingCentral, he founded and served as the CEO of Ring Zero Systems, a desktop software communications company. After shipping more than 25 million copies of its software through partnerships with leading PC manufacturers, Ring Zero Systems was acquired by Motorola. Shmunis was named a 2014 Ernst & Young Entrepreneur of the Year™, Northern California Region. He holds bachelor’s and master’s degrees in computer science from San Francisco State University and is a named inventor on a number of U.S. patents.